Operating a small business can be overwhelming and difficult to manage. Partner with our award-winning Marijuana Infused Products facility in Denver, Colorado to create a variety of concentrates including wax, taffy, pie crust, shatter, live batter, oil and vape pen oil. NectarBee® is committed to Consistency, Quality, and Reliability to give small business peace of mind and opportunity to customize and create store brands. All products are potency tested, and free of contaminates such as microbes, yeast, mold and residual solvents. A major safety concern in commercial extraction processing is the risk of fires and explosions due to obsolete designs and methods. 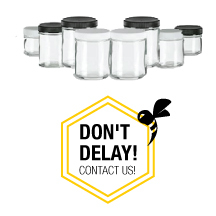 Our NectarBee extraction and processing facility has been built to the current standards of the FDA, OSHA and local and state fire codes as a class 1 division 1 hazard classification. You deliver your blended trim to our facility in convenient Denver, CO. PRODUCT PROCESSING MINIMUMS: Trim must come already blended, and combined into one package. After the concentrates have passed testing, we deliver your bulk-packed products in 28g patties in child resistant, fully-labeled pouches of oil, wax, pie crust, shatter, live batter, kief and bubble hash. Package your finished products with your own brand of customized packaging and labeling.